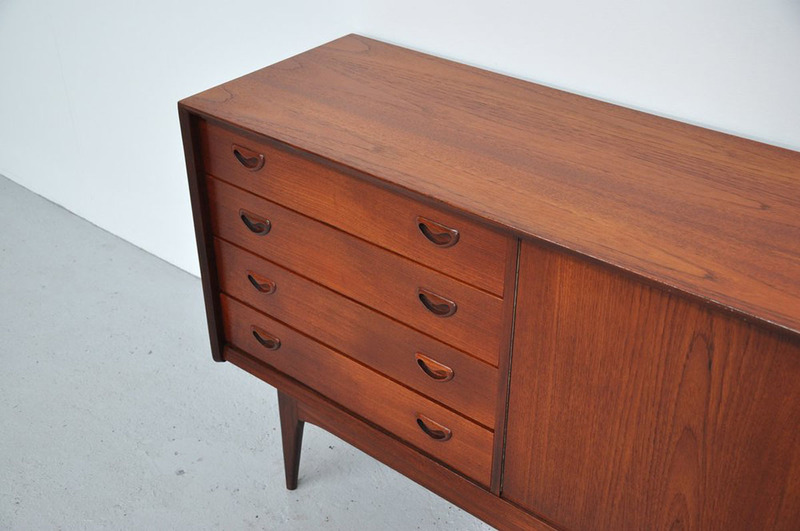 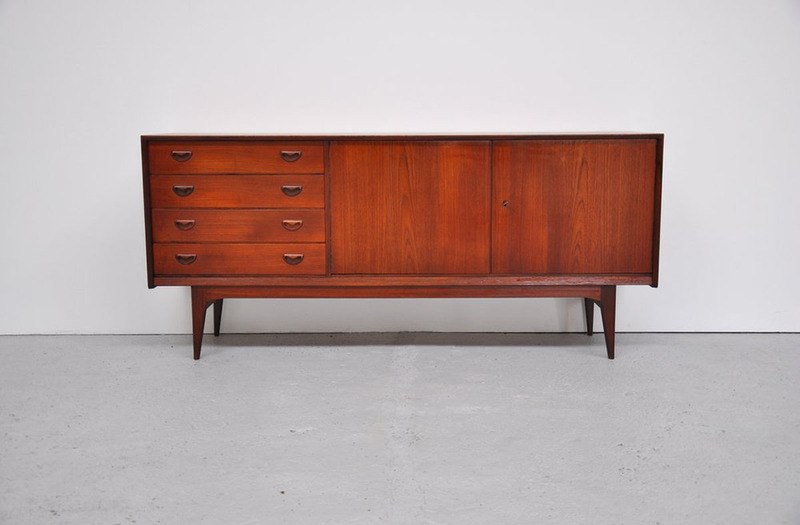 Beautiful teak sideboard designed by Louis van Teeffelen for Webe furniture, Holland 1960. 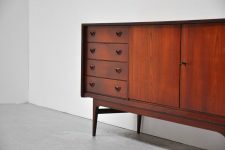 Webe was one of the finest furniture makers in Holland during the 60s. Inspired by the Danish organic shapes and high quality finishings. 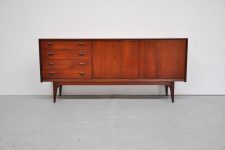 As also for this sideboard, very nicely finished, rounded, super shaped typical WEBE handles. All over in a super condition, perfect if possible. 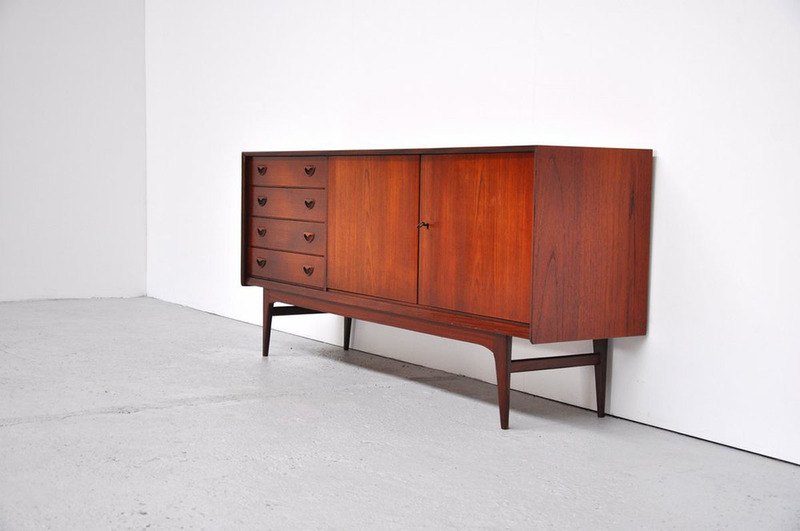 Hard to find sideboard in its kind.